Village Voice: When he arrived in 1980, Tony Lindsay's first residence was across the street from Frontier Village. 'THERE are so many people trying to find an easy way out. It's a lot of hard work. It can take you 30 to 40 years to have overnight success." Tony Lindsay knows about longevity. The San Mateo resident earned Grammy statues and platinum records for his work with Carlos Santana. He is also a vocal coach for Gelb, turning potential William Hungs into Taylor Hicks. So, as the topic of insta-fame vehicle American Idol is broached, he admits that he likes the show but says that he is bothered that the program is ageist and the best singer doesn't always win. "Simon made a good point about it being a singing competition, not a modeling contest," he says. "Some singers should be on there. Mandisa, a great singer but overweight, got voted off. Every time this guy Chris Daughtry did a song, he managed to work out an arrangement that made it his. That guy knocked me out. When he did his version of Johnny Cash's 'I Walk the Line,' that was so goddamn cool. He got voted off the show. It becomes a popularity contest." Lindsay also thinks the show would be more realistic if they added more Fear Factor-type challenges related to navigating the music business: Read a contract and explain it; deal with crooked managers and agents; get your money from a meth-addicted tweaker/promoter in the middle of nowhere. It's part of the life, something Lindsay learned as a lifetime musician beginning in his hometown of Kingston, N.Y., and up through his Bay Area club days in the early '80s to now. Thankfully, Lindsay had a big break through some unexpected assistance. He spent the past 14 years singing for Santana, first recording with the guitar legend for Milagro in 1992, before striking multiplatinum on the 1999 comeback record Supernatural. He participated in five world tours and sang on the 2002 follow-up Shaman, all the while maintaining membership in his jazz/R&B group Spangalang. After toiling in relative obscurity with Spangalang and solo, singing in front of stadium crowds and collecting awards with Santana leveraged a significant amount of validation. "I look around, and there's a lot of guys who do this stuff and have nothing to show for it. I've been around the world five times. I got something to show for it. Nobody can take that away. It's proven and written in the history books. In the book The Voices of Latin Rock, I'm in there, and when books come up around Supernatural, I'm going to be written in there. If that doesn't validate, nothing will." In 2004, he received word that his services were no longer needed. Carlos delivered the news face to face, which Lindsay appreciated. Both went right back to work on their solo careers. Lindsay's new self-titled record—his third solo—is a diverse affair, using R&B as its base, but stretching out beyond the KBLX crowd to embrace Latin, reggae, hip-hop and pop. Lindsay says he makes music he wouldn't be embarrassed to play to his mother. "I paid attention to what was going on with Supernatural," he says. "That record was so big because you got Mom, Dad, the kids and Grandma in the same car listening to the same music. That's what I tried to accomplish with mine." "What I do is cross lines and borders. The industry like to put labels on things, like you have to be R&B, classical, whatever. Music is music. Let the people choose what they want to hear." 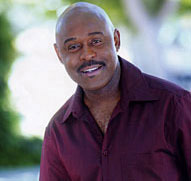 Tony Lindsay plays Tuesday, May 30, at Santana Row's free weekly jazz night. The show begins at 6:30pm. For more information, call 408.551.4611.